Many ‘Internet of Things’ devices use default or hard-coded passwords, making them easy prey for attackers. A new generation of distributed denial of service (DDoS) attacks (think Mirai) have emerged, and they want your IoT devices. Take the first step toward protecting defenseless IoT devices. Organizations now have the ability to reliably identify at-risk IoT devices, such as IP cameras, DVRs, printers, routers, and more. 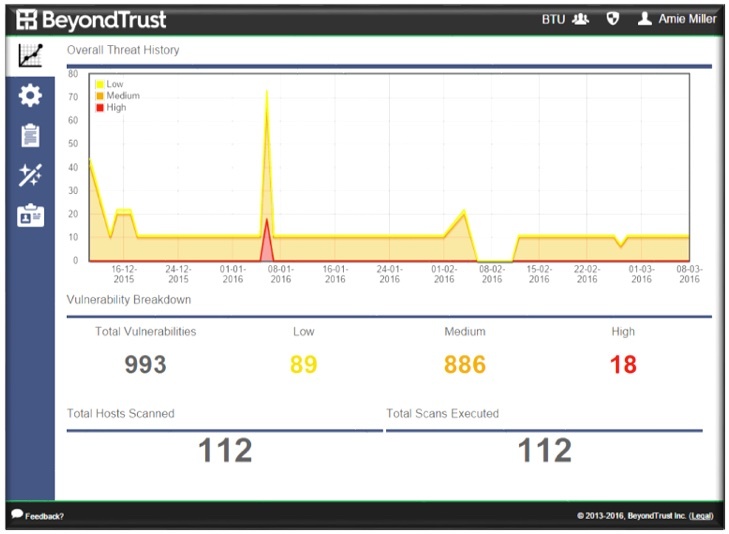 Powered by Retina , an award-winning vulnerability scanner trusted by thousands of organizations, and delivered via the simplicity of BeyondSaaS ’ cloud-based interface, RIoT gives you an attacker’s view of your IoT devices and their associated vulnerabilities. Shodan: is the world's first search engine for Internet-connected devices. 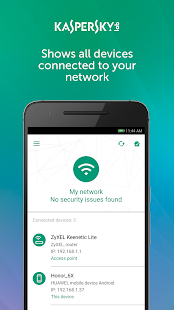 Android app analyzes your home network, makes a list of all connected devices, and reveals common vulnerabilities. 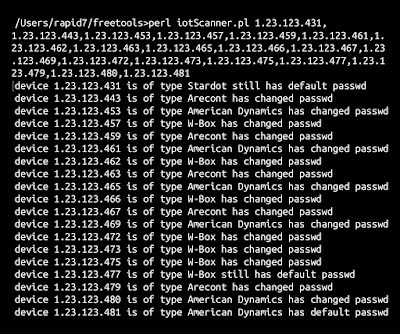 After installation, IoT Scanner scans your home network and locates all of the devices connected to it. Then, the application scans specific network ports on those devices and finds out which of the ports are open and which are closed. If IoT Scanner detects that some devices have open ports that can be potentially exploited, then the app will notify and prompt the user to close those ports, thus patching the hole. is a free tool created for you by the Rapid7 Metasploit team, and we welcome your feedback. The tool will be periodically updated to include more device types which are of potential risk. Do you have open ports that botnets can exploit? Press the button below for a quick check. Scan to see if your network hosts a device vulnerable to Mirai injection attacks. 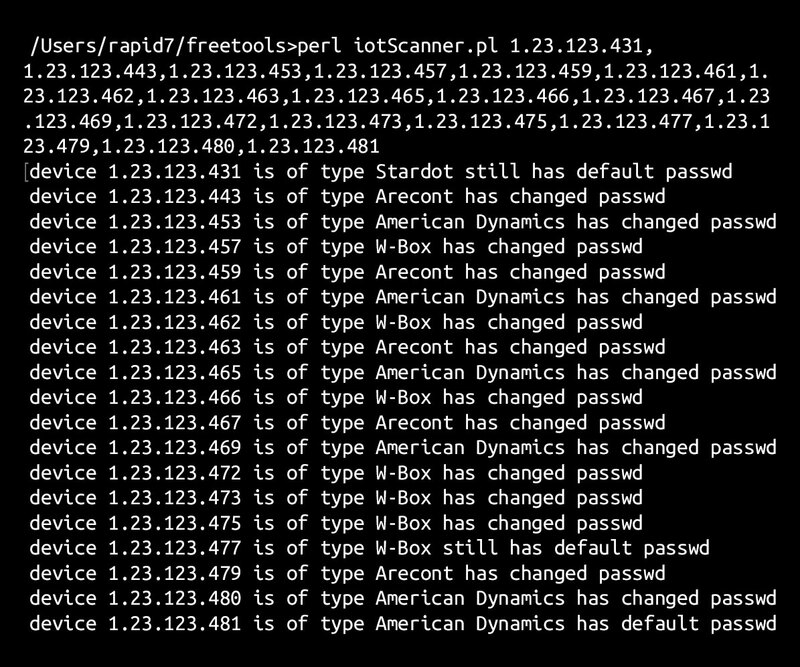 This scanner will identify and probe all devices that share your TCP/IP address. Mirai primarily targets Internet of Things (IoT) devices, such as routers, DVRS and CCTV cameras. The Mirai botnet has been used in some of the largest known DDoS attacks. This includes the recent takedown of Dyn DNS services, which led to the unavailability of major websites and services to many millions of users in Europe and North America.